So you’ve decided it’s time to sell your home. First - don’t panic! While this can seem like a massive undertaking, there are ways to make things easier on yourself as you navigate the sale of your home. One of the most effective ways you can simplify the home selling process is to work with a real estate agent. The experience a good agent can bring to selling your home is invaluable, and with their expertise, the daunting task of selling your home can be broken down into manageable next steps, right through to the final closing. 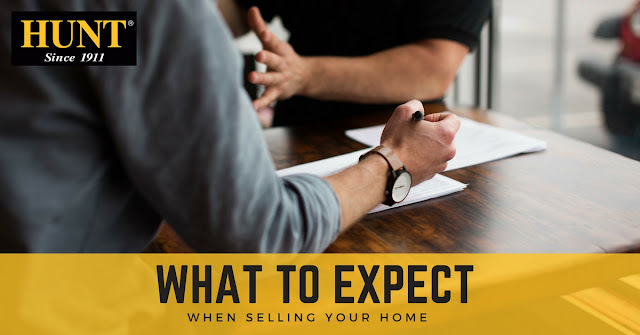 Discussing Expectations: Make sure that you have an honest discussion with your agent about what your expectations are regarding the sale of your home. Feel free to ask them about how they will promote your home, and even discuss pricing. If their pricing suggestions aren’t the same as yours, be sure to ask them their reasoning. A good agent should have a logical explanation, including comps in the area on which to base their pricing strategy. If you and your agent don’t agree on basic elements of the sale such as list price and marketing techniques, they may not be a good fit for you. A Shift in Mindset: Your home is where you have created many cherished memories. However, once you decide to place your home on the market, it is important to look at the upcoming sale as a business transaction. Instead of thinking of yourself as a homeowner, it may be helpful to think of yourself as a “home seller”. This can be difficult for many people during the selling process, which is where having a real estate agent can be immensely helpful. Agents can handle potential buyers and impartially listen to feedback, both positive and negative, to help you get the best price for your home. Marketing and Promotion: If you are working with an agent, expect to start having your home promoted. Photographs will be taken for real estate websites and the MLS (the main resource for real estate listings). Open houses will be scheduled and signs and flyers created to advertise the opens with the help of your real estate professional. If you’re working with a HUNT agent, you can expect your home to be promoted instantly once your home is listed for sale with marketing tools designed to get your listings online, in the right area, and to the right audience. Signage and Lockbox: Agents will have a sign installed to let those passing by know that your home is for sale. They will typically also have a lockbox installed on your front door so that other agents have access to your home to show their clients. Keeping Your Home Clean: One of the most important elements of the selling and showing process is making sure that your home is clean and organized. Potential buyers want to envision themselves living in your home, and any dirt or clutter may affect their perception of your property. Pets can make this task difficult, so be sure to keep things like animal cages and litter boxes as clean as you can for house viewings. If you have pets that are not allowed to be let outside, it may be a good idea to let your agent share this information with potential buyers, or find a new location to leave your four-legged friends while buyers are viewing your home. Offers: Following the promotion, ideally there will be multiple offers coming in. This is where your agent can really help you get the most for your home. They can evaluate each offer and let you know which are the strongest. For example, your potential buyers should always have a pre-approval letter to show they are financially qualified to pay the offered price. Your agent can review all of your offers and let you know which ones are potentially weaker and which ones should be given serious consideration. Closing: You and your agent will have worked hard to get to this point! Fortunately, your agent will handle all of the paperwork for you (which can be a lot!) regarding the sale of your home. The expertise of your agent will be immensely helpful in easing your stress by ensuring that all of the inevitable addendums and additional paperwork that springs up are completed, and that you are doing everything correctly to complete the sale.